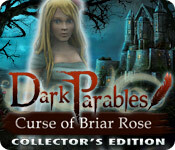 Dark Parables: Curse of Briar Rose Collector's Edition is rated 4.1 out of 5 by 47. Rated 5 out of 5 by Boomer1097 from Great Game With One Annoyance Overall, I really enjoyed this game. You play as a detective trying to figure out how to stop the thorny vines from taking over a nearby town. The graphics are really nice and the voice overs are well done. The background music was okay, but I seldom like any background music. The FROGs and mini games were fun. There was a built in SG, but I never used it. The bonus content was wallpapers, screensavers, music, mini games and two versions of the fairy tale (which was a nice touch). There are items to collect as you play the game, which is always fun. The one annoyance was the "map." It consisted of small images of the location(s) where items needed to be finished. The images were small on my laptop and I had difficulty figuring out some of the locations. Since I played the first three games in this series out of order, I was glad this type of "map" didn't continue in the next two games. I thought about rating this game as four-star, but I enjoyed the game so much I couldn't knock a star off the rating. I liked the story and it had a satisfying ending. The bonus game was okay, but not as much fun as I was hoping. I recommend this game and this series. Rated 5 out of 5 by mdibella from I love the games from this developer As always with the Dark Parables games, this is wonderful. It's fun and not frustrating and just a real time-killer! I loved it. I do have one word of warning...I normally buy this sort of game because my hands are impaired (arthritis) and so I must avoid any 'twitchy' puzzles that require fast reflexes. This game is great except for the final room. In that last room, the 'puzzle' is not at all confusing, it is a simple speed test of hand-eye coordination. It's not a hard test at all, but if you have problem hands, as I do, you may find yourself in the last room and unable to finish. Too bad. It was the only puzzle in the entire game that gave me problems. Rated 5 out of 5 by rskeyes from love this game!!! Beautiful. Great puzzles. Awesome, deep story. This game has everything I love in this genre. Rated 5 out of 5 by tillytyler254 from Excellent start to the series What a way to start the series off. I love fairytales and this one is just amazing. The game is such a beauty to look at, the story line is one that you want to follow. It has everything you want in one game. I loved it. Rated 5 out of 5 by EvilPrincess1426 from So much fun! I absolutely love this game. I love how there is an actual storyline, and I love the cutscenes. 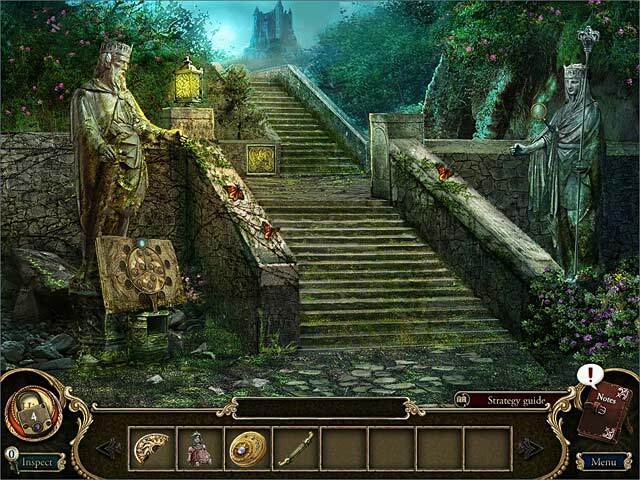 It really helps me connect and understand the characters.I love how the hidden object part isn't the only thing you do you also do puzzles, and those are a lot of fun too. It's just a great game and would recommend it to anyone. Rated 5 out of 5 by pennmom36 from Dark Parables: Curse of Briar Rose CE 1000 years ago, a Princess was born and the King celebrated with a huge festival of which everyone in the kingdom was invited. Everyone that is except one of the Godmothers, a sorceress known for her wickedness. Bad mistake, for when the Princess, Briar Rose grew older, she pricked herself on a spindle and everyone fell into a slumber never to awaken! Briars began to grow encasing the castle with a thorny entanglement which no one dared to untangle. Along comes a brave and handsome Prince who fought those thorny briars and freed the beautiful Princess and gently kissed her beautiful lips, awakening everyone but Briar Rose who continued to slumber eternally. Your detective skills are required to find a way to destroy the briars that have grown for a thousand years and will consume the entire town within seven days! This Collectors Edition has all kinds of goodies, wallpapers, screensavers, music, concept art, 20 bonus puzzles, a bonus chapter, built in Strategy Guide and even Dark Parables novels! If you don't know where an inventory item belongs, you simply pick up the item and click on the hint button to see where it goes and what to use it for. There is an icon button that will show you pictures of the areas that have searchable items. This game in non-linear, you will need to backtrack several times because some actions will trigger actions in previous scenes, especially the 20 Morphing Objects which may not be triggered to morph until way later in the game, even if objects in more current scenes morphed! Briar Rose herself (ghostly) will lend a helping see-through hand as she tries to guide you to places of importance so you can free her soul. 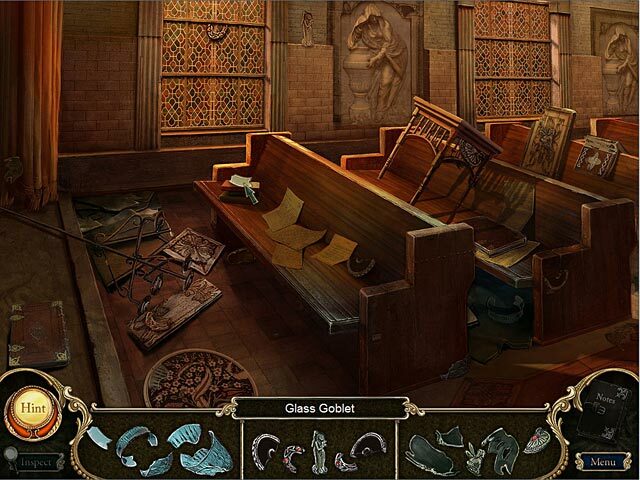 The Hidden Object Scenes are unique to this series, no other game has been able to pull it off as well as Dark Parables in my opinion. These are FROG games where you find fragmented pieces of a single object in three sections that when found will complete an item for your inventory such as an axe. The mini games are just as fun such as a puzzle of three sections. First you need to search several tiles by clicking to open, to find a key. You use this key to open 3 picture tiles underneath a mouse head, a rabbit head and a monkey head. You click on the pictured tiles until you find the correct food item for each of those animals which will trigger a panel to open with several bells. 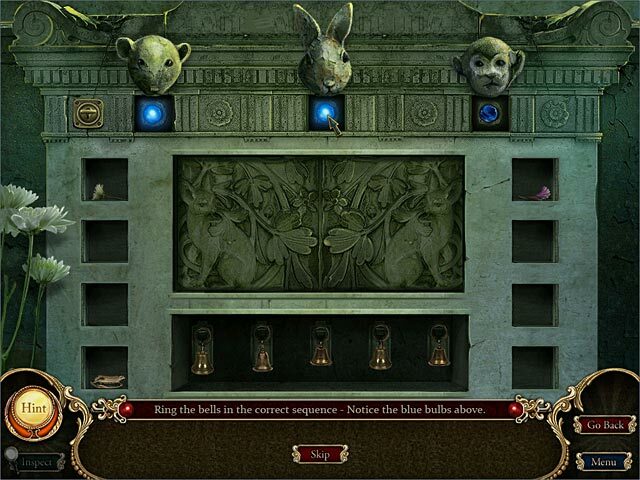 You must figure out which bells light up the buttons under the animal heads and then click on the 3 bells starting with the bell for the mouse and ending with the monkey. I can say without a doubt that Dark Parables is one of my favorite series and that Briar Rose is my favorite game in this series. The graphics are stunning, the story is a twisted version of Sleeping Beauty and it's a game that will grab your attention from start to finish, enjoy! Rated 5 out of 5 by neilskinut from good game Not that difficult to play. It was a good game for HO and the puzzles can be hard to understand at times. All in all a good game to play.